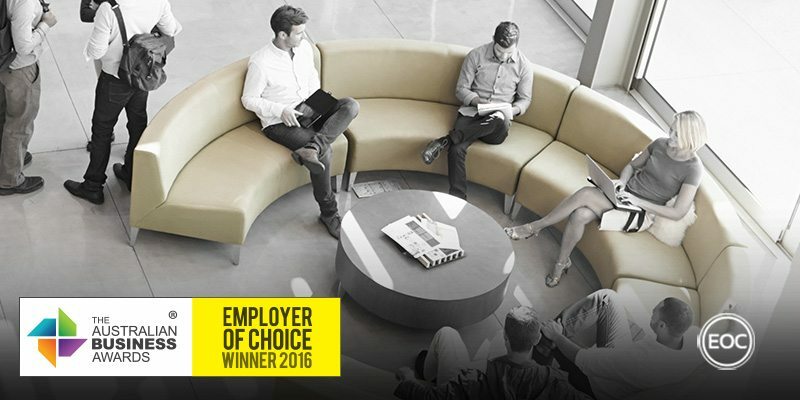 Compass Housing has been recognised as an Employer of Choice in The Australian Business Awards 2016. Established in 1985, Compass is a not-for-profit organisation whose primary aim is to alleviate the hardship of housing stress for low-to-moderate income earning households. They do this by providing secure and affordable housing, as well as delivering housing products to disadvantaged people. Compass Housing has 130 employees across a network of 11 branches in NSW and QLD. They focus on three key elements in their Human Resource strategy; people, connection to place and performance. Compass Housing aims to continue to be an employer of choice by showing loyalty, respect and a commitment to the personal development of its staff. The company ensures that they actively engage with staff and genuinely listen to their concerns. The implementation of a pilot program called the ‘Tenant Specialist Model’ resulted in changing the property inspection process from single employee visit to a dual employee visit. This change increased the safety of Compass employees who were attending tenant property inspections and visits. It also improved tenant observations by providing additional tenant care visits which then helped to identify tenants who may pose a risk to themselves or others. The new Tenant Specialist Model resulted in a significantly improved employee morale and a decreased level of employee stress and anxiety. Compass Housing Services views education and training as a critical component for a successful workforce as it obtains employee engagement, job satisfaction and retention. They also implement opportunities for employees to undertake key duties and to participate in a Buddy Program where experienced employees are buddied with a new employee during their probation period. Compass contributes to industry remuneration surveys, which then provide accurate remuneration data to allow Compass to benchmark and compare salary levels against other organisations. On the rare occasion that an employee leaves Compass, they complete exit interviews to identify the employee’s reasons for leaving. The results from the interview allow them to model excellence in identifying job alignment in their future recruitment.